Beauty lies in the eyes of the beholder. 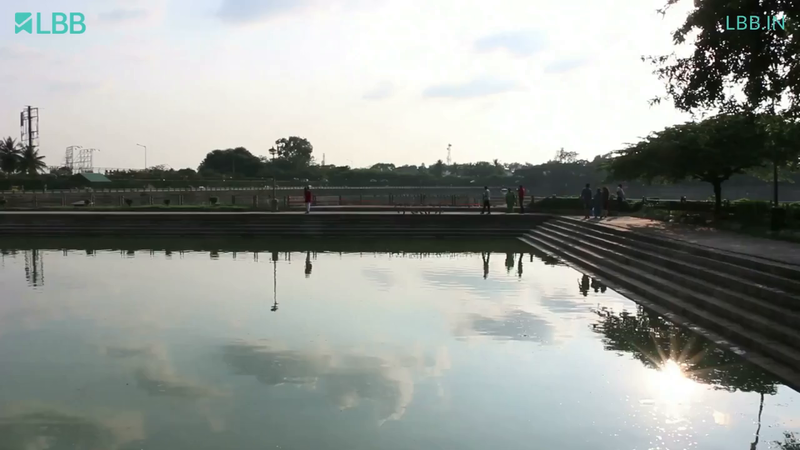 Simple things we see around us at different times of the day gives the best glimpse of nature and lightens us up as a better being and Sankey Tank lake in Malleshwaram has been ever so famous. Any weekend during the early morning hours take a walk around the lake, you will see the moon setting down, the sun rising up in the sky, hundreds of birds chirping and ducks swimming along with some well-maintained walking paths, jogging tracks and play area. One can relax on benches all around the lake. Finally, you can step out to eat some amazing breakfast at Malleswaram's different authentic breakfast points. This place is famous for morning and evening walks especially morning hours being less crowded.